I’m one of those people who is fascinated by cosmic markers like solstices and equinoxes. It’s hard to explain—I guess it’s sort of a feeling of being in the presence of greatness. Or cosmic forces. Or something. At the very least, it’s an excuse to celebrate. I set out to identify a solstice cocktail for the onset of the summer season, and I was astonished to find that there are no classics that address these auspicious dates. Inexplicable. Search engines turned up a few modern inventions with names like “Winter Solstice” or “Summer Solstice,” which makes some sense, I guess. The ones I found looked merely palatable—vodka in fruit juice, rehashes of classics with fruit juice, even fruit with fruit juice—not particularly imaginative or inspiring. Today is the solstice, after all. So it was with considerable delight that I came across the Leap Year Cocktail in Stuart Walton’s Ultimate Book of Cocktails. Yes, I am aware that leap years aren’t cosmic events—they’re more like accounting tricks. But they are much rarer than solstices, and they come with layers of exceptions to exceptions for when to throw them. Fine things, all in all. 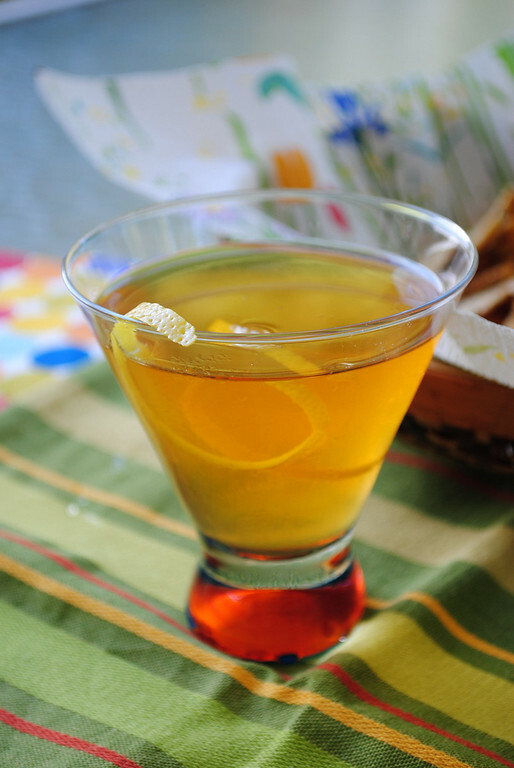 The Leap Year Cocktail is not as sweet as you would expect from the recipe. The formula here is very similar to Walton’s (and Robert Hess’s, and Gary Regan’s…)—a little longer on gin than the Savoy version. Stir with ice until cold, strain into a chilled cocktail glass. Express and garnish with lemon. The flavors are deliciously inscrutable—the combination seems to introduce new flavors beyond individual ingredients. The gin is certainly there, and the orange nose, and, mysteriously, a faint tone of chocolate. So here’s to the solstice, summer or winter. I’m absolutely delighted that I didn’t wait two years more, for a year-divisible-by-four, to discover this intriguing classic. “Leap Year Cocktail” at cold-glass.com : All text and photos © 2010 Douglas M. Ford. All rights reserved. That’s actually not so far off from a Corpse Reviver #2 (if you think of a quinquina like Cocchi Americano as being in the vermouth family, which I do). I’m looking forward to the day Ransom makes it to my market, I’ve heard a lot about it. The only Old Tom we have available here now is Hayman’s, which is a pretty respectable gin, but quite different in character from Ransom, they say. It will be interesting to compare them.